CDBurnerXP 4.4.1.3184 is a free application to burn CDs and DVDs, including Blu-Ray and HD-DVDs. CDBurnerXP also includes the feature to burn and create ISOs, as well as a multilanguage interface. Everyone, even companies, can use it for free. CDBurnerXP software can burn all kinds of discs, audio-CDs with or without gaps between tracks, burn and create ISO files, data verification after burning process, create bootable discs. 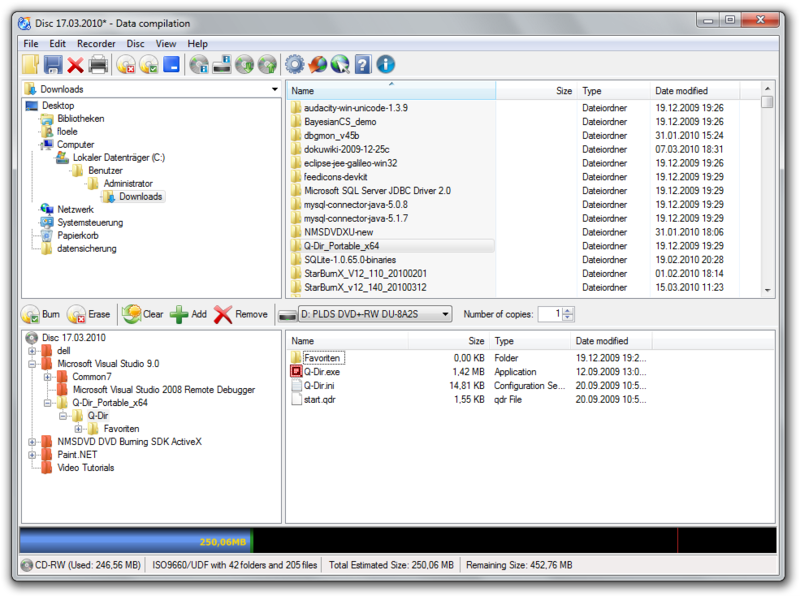 CDBurnerXP is free software to burn CDs and DVDs, including Blu-Ray and HD-DVDs. * bin/nrg ISO converter, simple cover printing and much more! Qweas is providing links to CDBurnerXP 4.4.1.3184 as a courtesy, and makes no representations regarding CDBurnerXP or any other applications or any information related thereto. Any questions, complaints or claims regarding this application CDBurnerXP 4.4.1.3184 must be directed to the appropriate software vendor. You may click the publisher link of CDBurnerXP on the top of this page to get more details about the vendor.